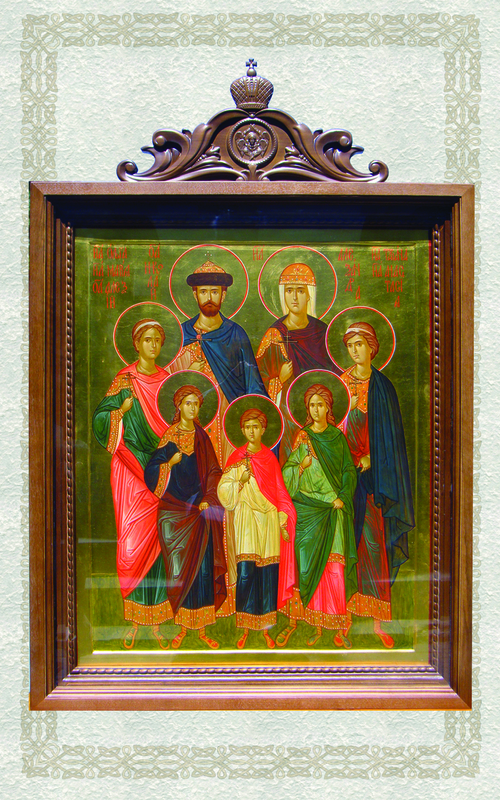 I think that an icon is supposed to depict the saints as blessed in Heaven. 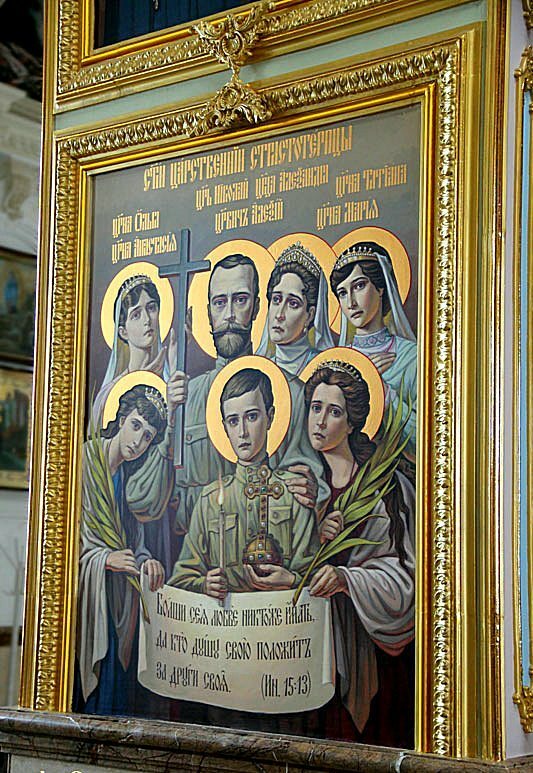 They may have gone through horrible tortures and suffering (the palms are symbols of martyrdom), but now they are in Heaven, in God's presence. In that icon OTMA seem extremely sad and Alexandra is about to start crying.